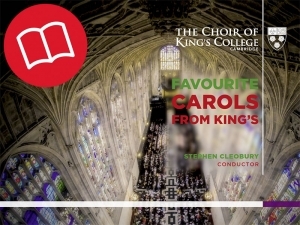 ‘Favourite Carols from King’s’ is a collection of the most popular carols featured in A Festival of Nine Lessons and Carols over the years. Highlights include ‘Once in Royal David’s City’, with the opening verse sung by treble Adam Banwell, ‘In the Bleak Midwinter’, solo performed by bass Hugo Herman-Wilson and ‘Hark! the herald angels sing’. It provides at once a survey of the King’s Christmas tradition and a snapshot of the choir as it is today. Recorded at 96kHz 24-bit PCM in the Chapel of King’s College, Cambridge, by kind permission of the Provost and Fellows, 16, 17, 18 & 20 March 2014.